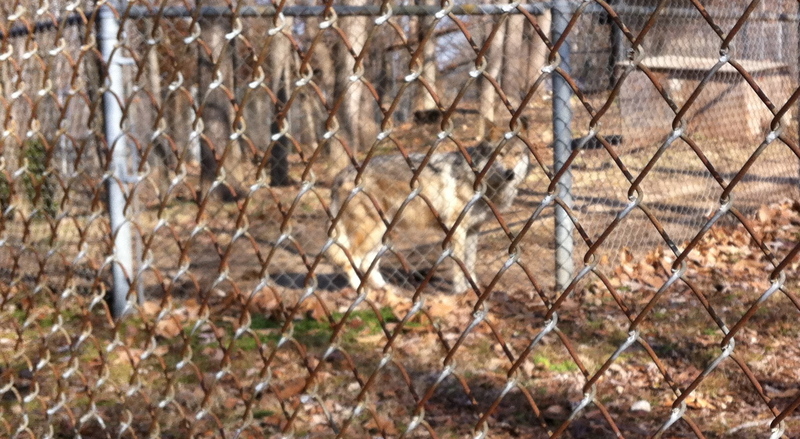 The Endangered Wolf Sanctuary is located on the Tyson Research Center just off I-44 about 40 minutes southwest of downtown St. Louis. Tyson was originally part of an Army munitions storage base during World War II and was purchased by Washington University shortly after the war. Thus, the area is secured by military-grade fencing and is littered with bunkers underneath the rolling Ozark hills. The Endangered Wolf Sanctuary leases a small portion of the land from Washington University, which uses the land to conduct biological and ecological experiments. In order to see the wolves reservations are required because Wash U controls access to the area so as to not disturb their experiments. 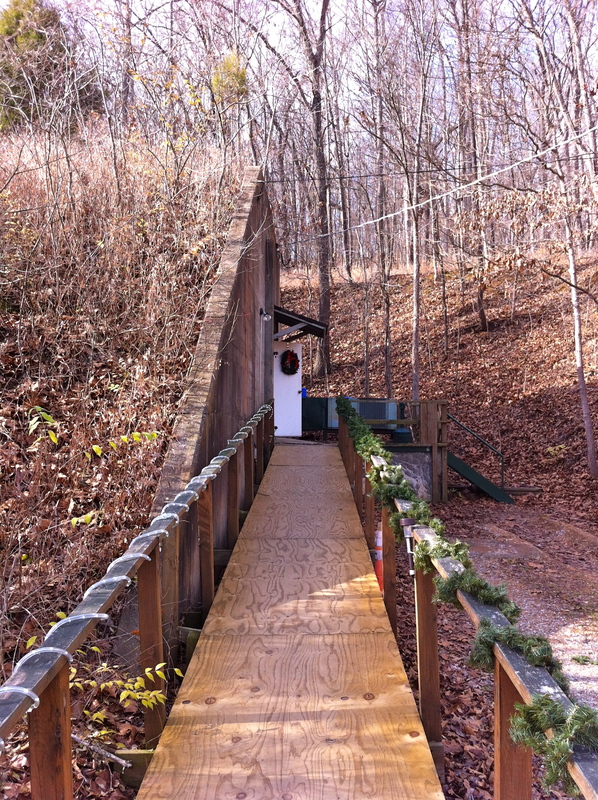 The offices for the center are in a WWII-era bunker. I arrived at Tyson by accident; because I saw it on the map and was at nearby Lone Elk Park, I decided to check it out. Luck be had, the day I went was the Wolf Sanctuary’s holiday open house aka the one day a year when you do not need a reservation to see the wolves. The 2 species of wolves, African wild dogs, and foxes are housed in very secure cages and are extremely well-tended. The goal of the center is to raise wolves to rerelease into the wild, so utmost care is taken. My favorite animals are the African wild dogs. Because their bite is so strong, any work done to the animals must can only be done when the animals are tranquilized. Additionally, double electrified fences are used to keep them in the pens. I would certainly recommend going to see the wolves and Tyson because it is allows an up close and personal view of conservation in action.